These are not your ordinary pearls. Not only are they huge and have an amazing luster, but they are very rare and hard to come by. Depending upon how you measure them, they range between 13-14mm. 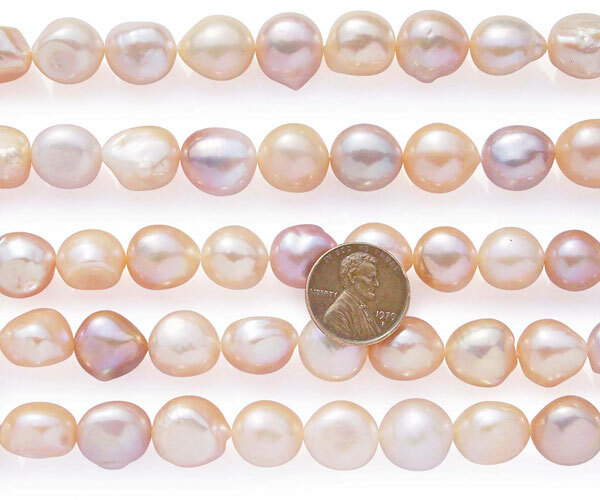 There are a total of 27-30 pearls on one strand at 15.5-16in long. 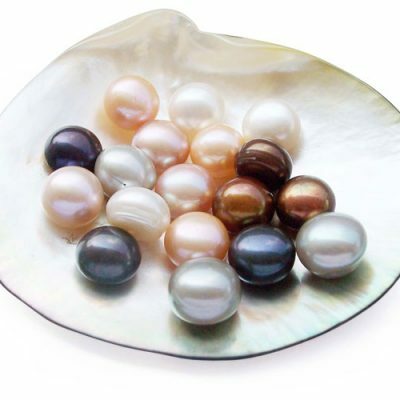 Each pearl has its own personality and uniqueness attached to it. 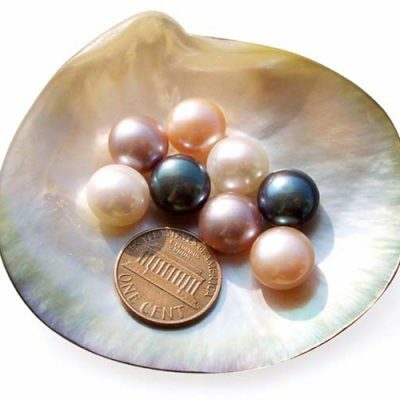 You won`t find pearls this large, this nice, at this price anywhere else, guaranteed. The pearls used here rated as high AA+ quality. We could have rated them as AAA for their large size, but since they had to stay in the water longer and subject to more environmental hazards, they do come with a little surface markings, just as freckles for an older person. 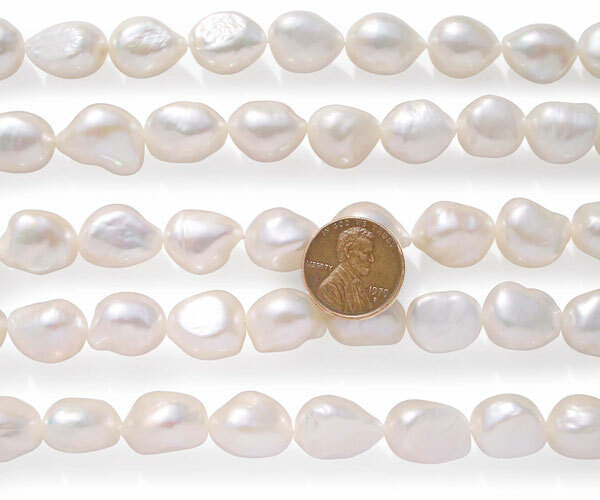 Whatever jewelry you choose to make with these pearls will be stunning! These pictures are taken of real strands with a penny next to them to give you a sense of the size. However, these pictures do not do any real justice to these amazing strands of pearls. You have to see them to believe them. White pearl strands are available for immediate delivery. Shop now for the best selection. 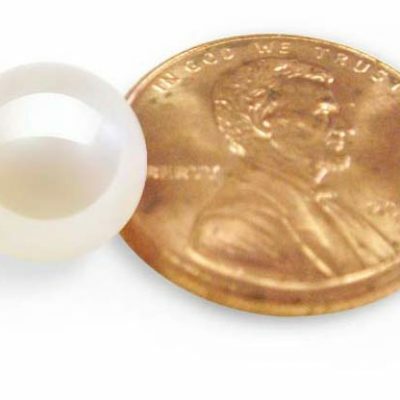 If you want to drill Larger Holes in these pearls, please click here.